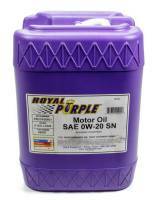 Racers have relied on Royal Purple Synthetic Motor Oil to increases horsepower and torque since 1986. Air Compressor oil is highly recommended for lubricating reciprocating piston type air compressors. Check out the Recently Listed Leaded Fuel. Pit Stop USA is The Online Motorsports Superstore! We feature Octane Boost at low everyday prices. Check out the Recently Listed Retail Displays. 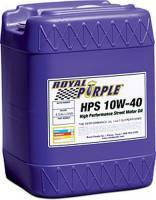 Royal Purple HMX is synthetic motor oil specifically designed by Royal Purple engineers to minimize wear inside older engines and restore lost engine performance. $7.95 Flat Rate Shipping. Ships from Michigan. $7.95 Flat Rate Shipping. Oversized / Overweight Item. Ships from Michigan. Pit Stop USA is The Online Motorsports Superstore! Royal Purple was founded in 1986, but its roots go back much further. 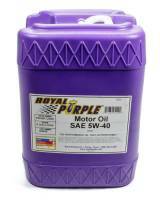 Royal Purple Motor Oil increases horsepower and torque. Royal Purple XPR Extreme Performance and Royal Purple XPR Racing oils are formulated for ultra-performance applications such as racing, modified engines and off-road use. Professional engine builders and race teams have cited increased horsepower and torque, and longer engine life with the use of Royal Purple. Royal Purple XPR Extreme Performance and Royal Purple XPR Racing oil combines the highest quality synthetic base oil, Royal Purpleas proprietary Synerlec additive technology and additional performance enhancers to create a lubricant that maximizes horsepower and torque, while providing the highest level of protection against heat and wear. 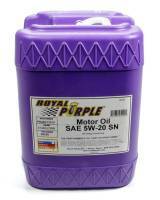 Royal Purple XPR provides more protection than conventional motor oils. Royal Purple Motor Oil is a tough, long life, high performance oil that delivers superior protection and enhanced performance to gasoline and diesel engines. It gains its performance advantages from a blend of synthetic oils plus Royal Purple's proprietary, synthetic Synerlec additive technology. Royal Purple Max-Gear is an ultra-tough, high performance, GL-5 automotive gear oil designed to provide maximum protection to heavily loaded gears while maximizing power output throughout the drive train. 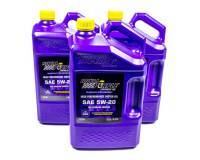 Royal Purple Synchromax is recommended for manual transmissions that specify an automatic transmission fluid or motor oil. 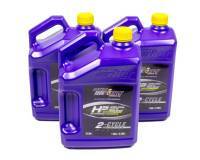 Royal Purple Max ATF is a synthetic, high performance, long life, multipurpose, automatic transmission fluid. Royal Purple Max EZ is an advanced power steering fluid designed to maximize the life and performance of all power steering units. Royal Purple Maxfilm deeply penetrates, cleans and loosens rusted parts. 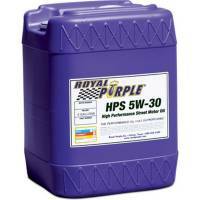 Royal Purple Purple Ice is a high performance, synthetic, radiator coolant additive for both gasoline and diesel engines.